It is the 1930s, and young John Wilkins has been taught to fly by his ex-Royal Flying Corps father. 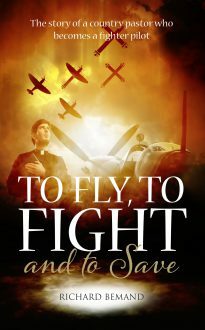 He longs to fly in battle, but his Christian beliefs bring him into a pastoral role. When conflict looms in the shape of World War II, he has to make a hard decision. Should he continue to shepherd the flock in his village church, or should he apply for a pilot’s job in RAF Fighter Command, where the need for experienced pilots is growing? An absorbing story about a fictional character set in a factual historical setting.